Although rare, products such as prescription or over the medications, vitamins and supplements can contain traces of gluten. You can eliminate all risks by effectively evaluating the ingredients in these products. Oral medications in the form of tablets and capsules are a potential source of gluten contamination. 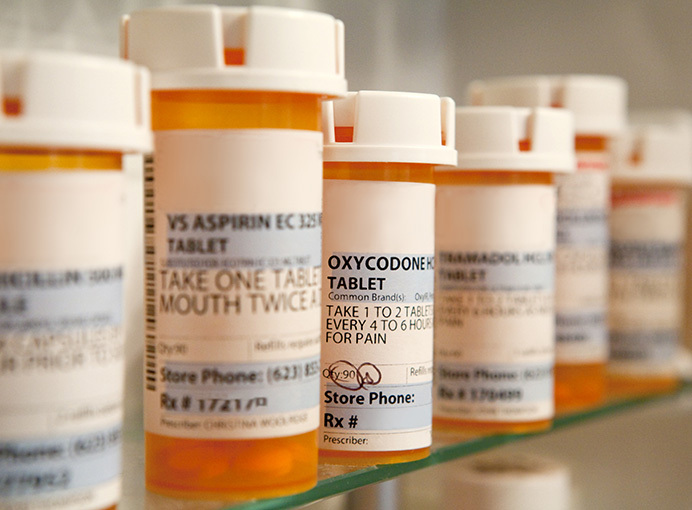 Medications are composed of many ingredients, both inside and outside of the product. These ingredients, also known as excipients, include the active component, absorbents (which absorb water to allow the tablet to swell and disintegrate), protectants, binders, coloring agents, lubricators, and bulking agents (which allow some products to dissolve slowly as they travel throughout the intestinal tract). Excipients can be synthetic or from natural sources that are derived from either plants or animals. Excipients are considered inactive and safe for human use by the FDA, but can be a potential source for unwanted reactions. Searching specifically for the word corn reveals 6,518 records, potato reveals 2,934 records, tapioca reveals 17 records while the word wheat reveals 11 records. The total adds up to more than the 8,379 records because many products have more than one starch contained within the product. This database is called Pillbox, and can be accessed here. A second data base maintained by the same government organization lists a total of 70,776 drug records; however not all of the records have been categorized allowing a full search of a drug product based on their ingredients. This database is called DailyMed, and can be accessed here. Both of these sites are extremely helpful in determining the potential for gluten contamination. Currently, there is no law that mandates that the drug manufacturers disclose the source of these excipients in any public record or database, and we have to rely on calling the manufacturer to obtain information. Anybody who has ever done this knows how difficult it is to obtain accurate information. Some drug companies are very open with their information, while others either give incomplete or even false information. Often you are told that the company does not use any gluten in the manufacturing of their product, but they won’t guarantee it to be gluten-free. As a consumer, how do you protect yourself when trying to obtain information regarding the gluten status of a drug when the information you are receiving is either incomplete or questionable? By looking at the excipients, you can get a pretty clear picture of the potential for contamination. It is highly unlikely that any excipient other than starch will contain any measurable amount of gluten. As mentioned earlier, the most likely source of gluten contamination will come from starch.It is highly unlikely that any excipient other than starch will contain any measurable amount of gluten. When the excipient listed for the product contains the single word “starch,” it can come from any starch source. Unlike in the food industry where plain starch must be derived from corn, this does not apply to the pharmaceutical industry. A second type of starch is pre-gelatinized starch. This is primarily derived from corn, but it can be derived from any source. A third type of starch is sodium starch glycolate. This is primarily derived from potato, but occasionally is derived from corn. Like pre-gelatinized starch, sodium starch glycolate can be derived from any starch source. 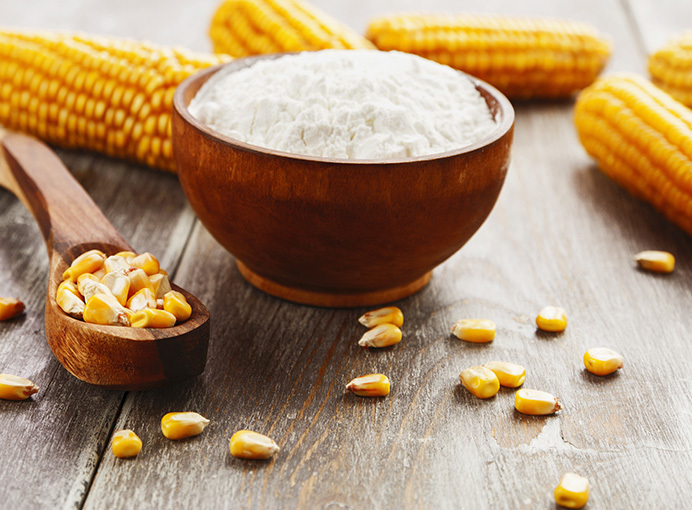 Often times, the ingredients are actually listed as corn starch, which makes it easy to identify the source. Finally, there is the rare occasion when you see the dreadful words “wheat starch.” By using the two FDA websites mentioned above, you can frequently find the source of the starch. Using the information provided above, you can make an educated decision to take that product or look for a substitute. If you are told by the company that they do use gluten in their product, ask them to disclose what the source of the gluten is. If they tell you they use wheat starch, naturally you would avoid using the product. If they tell you it is derived from a wheat source, the chances are that they are referring to one of the sugar alcohols, also known as polyols. These are highly processed sugars that contain no wheat gluten, and therefore cannot cause a reaction. Examples of these sugar alcohols are mannitol, sorbitol, sorbitan, maltitol, xylitol, lactitol, erythritol, and hydrogenated starch hydrolysates. Another misrepresented ingredient is wheat maltodextran, or plain maltodextran. A drug company may tell you that they won’t guarantee their product to be gluten-free due to the potential of cross contamination in their manufacturing plant. Although this is a possibility, it would be extremely unlikely to occur due to the level of air quality control the manufacturing plants must have in place for the FDA to allow drugs to be manufactured in their facility. Benicar, also known with the generic name of olmesartan, can cause celiac-like enteropathies. The drug itself contains no gluten, but people can suffer severe gastrointestinal symptoms from taking the drug, so it would be best to avoid this drug. Vitamin and mineral therapy can be used in addition to the standard gluten-free diet to hasten a patient’s recovery from nutritional deficiency. However, certain ingredients in vitamins and supplements – typically the inactive ingredients – can contain gluten, so extra care must be taken to avoid any gluten exposure. There are a variety of nutritional deficiencies associated with celiac disease, primarily caused by the inability of the damaged small intestine to properly absorb enough of the nutrients our bodies need. People recently diagnosed with celiac disease are commonly deficient in fiber, iron, calcium, magnesium, zinc, folate, niacin, riboflavin, vitamin B12, and vitamin D, as well as in calories and protein. Deficiencies in copper and vitamin B6 are also possible, but less common. A study from 2002 by Bona et. al. indicated that the delay in puberty in children with celiac disease may partially be due to low amounts of B vitamins, iron, and folate. After treatment with a strict gluten-free diet, most patients’ small intestines recover and are able to properly absorb nutrients again, and therefore do not require supplementation. 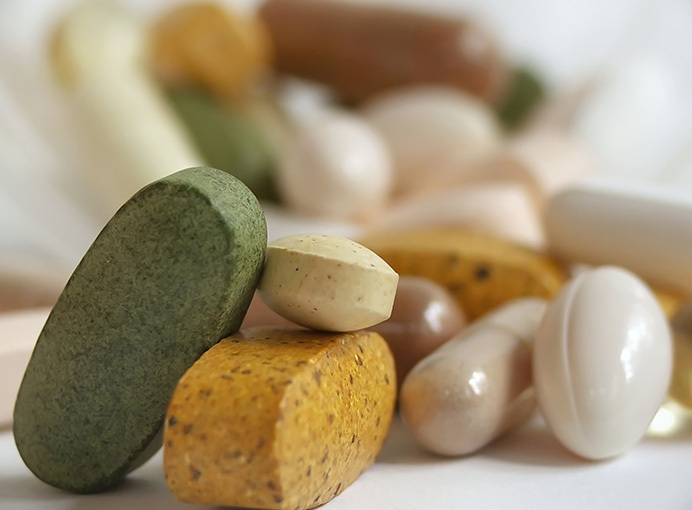 For certain patients however, nutrient supplements may be beneficial. The quality of gluten-free products on the market today also poses some challenges to thriving on the gluten-free diet. Though the gluten-free market has grown immensely over recent years, and is still growing, many gluten-free products are not enriched and have lower amounts of folate, iron, thiamin, niacin, fiber, and riboflavin. Furthermore, studies show that patients on a gluten-free diet tend to consume a higher amount of calories from fat, and less from carbohydrates. Following a strict gluten-free diet while maintaining proper nutrition can be very challenging. Search PillboxSearch Pillbox to determine if your medication contains gluten. Search DailyMedSearch DailyMed to determine if your medication contains gluten.